Special needs trusts have been used for many years to help plan for the future of a person who needs assistance for a variety of reasons, including handling everyday finances and making important financial decisions. Special needs trusts can be set up with the funds of the individual (first party trust) or with the funds of another person, often parents or other family members (third party trust). For people with severe disabilities who are eligible for the federal benefit programs Supplemental Security Income (SSI) and/or Medicaid, there are limits on how much an individual can have in income or assets and remain eligible. This is because these programs were designed as “means-tested” programs for people with low incomes and assets (or “resources” which is the term used for assets in these programs). In the 1990s, both Medicaid and SSI law were changed to strengthen and clarify what could and could not be done with special needs trusts holding the funds of SSI and Medicaid beneficiaries. It is very important that SSI and Medicaid beneficiaries who want to use special needs trusts carefully follow the law. Important rules also apply for spending the funds from first or third party special needs trusts on behalf of an SSI or Medicaid beneficiary. 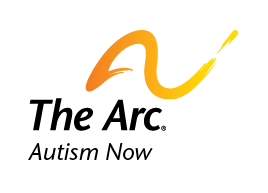 James McCarten of the Special Needs Alliance provides a great overview in his guest article, which is in the September 2013 edition of Prism. Trusts can be very valuable to your loved one and used to their benefit; however, they must be written and managed correctly. We strongly recommend contacting a special needs lawyer in your area if you are interested in creating a special needs trust. The Center for Future Planning® offers a professional service directory,enabling individuals with autism and their families to identify professionals who can help them create and implement their plans for the future, including attorneys, financial planners, and insurance agents, that are knowledgeable about and committed to working with members of the disability community. Date posted: March 29, 2011. Content created by The American Association on Intellectual and Developmental Disabilities. Last updated: March 21, 2018.